This is not me – but it is what I do … a lot! It is an incredibly solitary pursuit and mind-numbingly boring. The sense of well-being and achievement at the end however, make up for it. We love staying in this motel whenever we visit Taupo – in the central North Island, New Zealand. 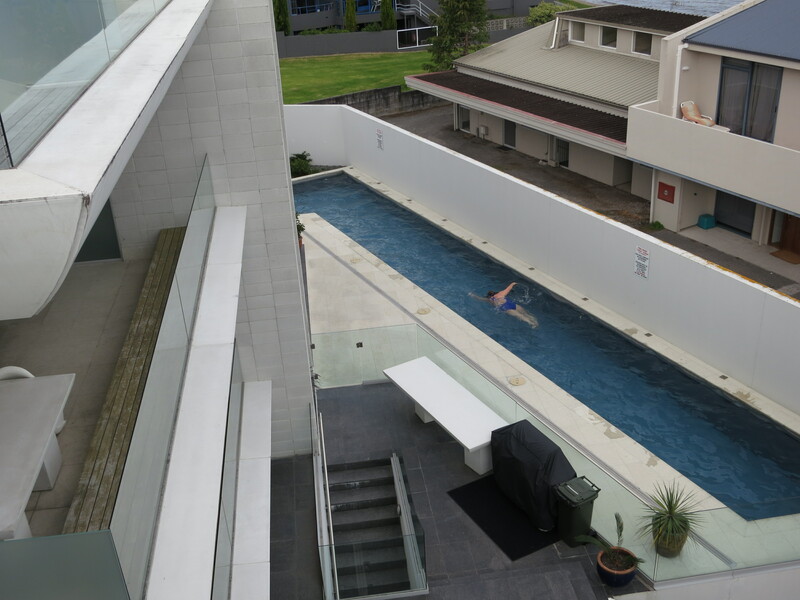 For me, the attraction is the pool where I can start every day with a good 45 minutes swimming laps in the pool. I do so alone – solitary. Photographed in Taupo, New Zealand, 2012. This photo does not do our accommodation justice – it really is rather gorgeous and has the most stunning view of the lake with Mt Ruapehu in the background. This entry was posted in Photography, Travel and tagged lake, Mt Ruapehu, New Zealand, North Island, pool, Solitary, swimming, Taupo on September 26, 2012 by Rossi. It’s a strength I work at having in the knowledge that I can draw upon it in the event of an emergency. I would hate to be in a situation, at a beach, lake or swimming pool, where I saw someone in difficulty and felt powerless to do anything. I know I can contribute, I know I have the strength and I know I have the stamina. I hope never to be put to the test. As youngsters we swam competitively which required huge parental dedication. We were out early doing our swim training before the sun was up at least three morning a week. The pool we trained in, even though there was one nearby, was about 30km from where we lived. We were also taught life-saving skills throughout all our years in school. You see, New Zealand is surrounded by water – beaches are never too far from wherever you are and if you are further inland, a lake will only be a stone’s throw. Learning to swim is essential. The other day at the pool a young man in the next lane stopped me to seek help. I could see that he was struggling a bit … his stroke was awkward and slow. He’d seen me the day before and wanted to ask me something. He explained that he’d recently had a kidney transplant (his wife being the donor) and was trying to build fitness and strength. He wasn’t a native New Zealander and hadn’t learned to swim as a child. He was having difficulty coordinating his breathing and stroking. I did what I could to help wishing at the same time that I’d learned how to teach what comes so naturally to me. He was very sweet and very appreciative … I really admired his determination, his courage and his wife’s generosity! I’ve had brief breaks from swimming over the years but always return to the element in which my body feels its best – the water. My primary aim is to retain fitness and strength and to do as much as I can to keep insulin dependence at bay. I’m lucky I can do that. In my mind always is the guiding thought that if I had to save a life, I could. 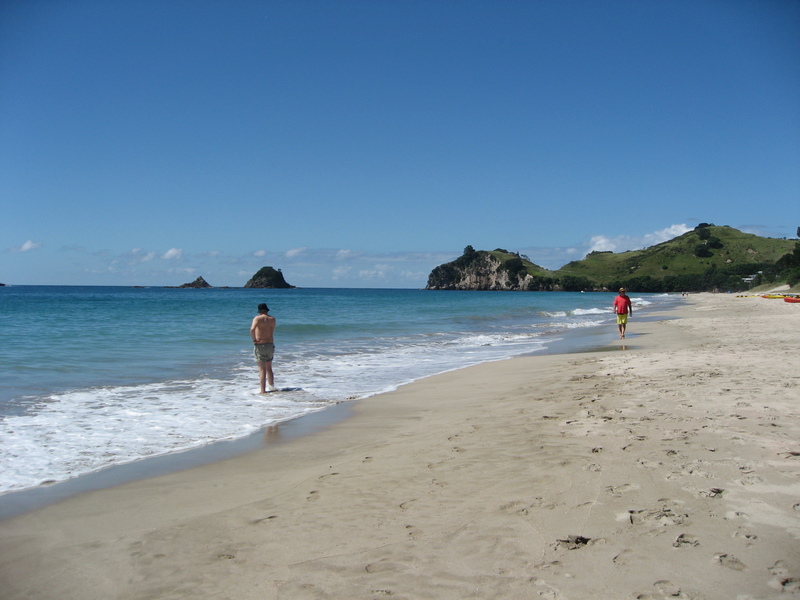 This entry was posted in Diabetes, Writing and tagged beaches, Coromandel Peninsula, life-saving, postaday2011, swimming on August 11, 2011 by Rossi.